But having said all that our original plan was for each boat to raise as much as possible through ideas like seat donations or squeezing money out of family or friends etc. May be you don't want people to sponsor you through a Ribnet related page, if this is the case I can set another up or change the name etc. 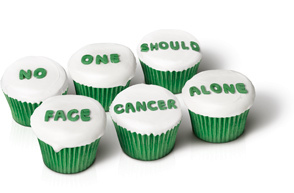 There is also Macmillan stuff I can order so I will look into that. There is no pressure on you or your crew to raise money if you don't want to, that is completely your own decision. Finally, would you like a party afterwards? I have a plan on how to raise a fair bit of money for this worthwhile cause. I'm just waiting on a few peoples replies to some messages, then if it looks like it's going to work I will tell all. I've done a few ''Fight Night-Gentlemens Evenings'' Charity events over the years,which can be pretty '''Lively'' affairs ..and in my experience people dont mind ONE BIT to be asked for a Donation in a Good Cause....so Go For it! I also think your doing a Great Job Alex,and should be Commended...An Ounce of Action is worth a Tonne of Bluster! So well Done Mate Wont make the Cruise,but you can put me down for a Tenner which I'll give to Matt. Wont make the Cruise,but you can put me down for a Tenner which I'll give to Matt. I know it has nothing to do with Ribnet but the missus and her pals have managed to raise £4k for Macmillan Nurses, a 10 kilometre hike up Glen a' Chorrain then over the Streap bealach. All in all a very demanding walk. Ok, I have had enough positive replies to make this work so here is the plan. I will be asking friends, colleagues, clients and suppliers (basically anyone I know outside of ribnet) to sponsor me for helming a selection of different ribs for the whole 55 nautical mile trip circumnavigating the Isle of Wight. I am hoping to raise a minimum of £200 in sponsorship possibly a lot more. As previously stated in the main Macmillan thread I will increase my personal donation to £150 and I am giving a further £50 as my wife wants to come as a passenger in one of the ribs. So I will be putting £200 in the fund, and will do everything I can to make sure the sponsorship is at least another £200 hopefully a lot more. This has only been possible due to the kindness and generosity of fellow ribnet members (you know who you are) who have offered to let me helm their ribs and get me all the way round the island (and hopefully back to the mainland where I started from). Well now that's declared publicly I better start raising this sponsorship money, not that many weeks to go until the event. Charity is very personal choice - so many out there worth while - I personally prefer to help the local hospice knowing money is staying locally. Understand and repect your choices. For me this event is to honour someone that I got to know through doing business with him, and who played fair by me. So far the donation from me stands at £200 for the helming of Ribnet owners boats beforehand, and the promise from a number of ribnetters to get me helming right round the island on the day (thanks guys ), and a seat in one of the ribs for my wife. I will give a cheque made out to Macmillan to Whisper). I have started collecting money using a sponsor form for my helming round the island. So far have £35 via the sponson form and growing by the day. Target for my sponsorship form is £200 plus, so my plan is to raise over £400 in total if all goes to plan.